Lifestyle hacking is one of the most addictive hobbies you can have. It can save you tons of time and even, in some cases, money. We automate and outsource business related task, of which I will delve into in another post. What is becoming popular is outsourcing personal aspects of our life. The following services allow you to completely outsource shopping and purchasing specific items. The first of these services is a company which sends you razors for your blades automatically every couple of months decided by yourself. Harry’s is a shaving club like no other and lends a small lifestyle hacking plus to your life. Offering amazing shaving blades, handles and cream. Their selection is narrow and rightly so. 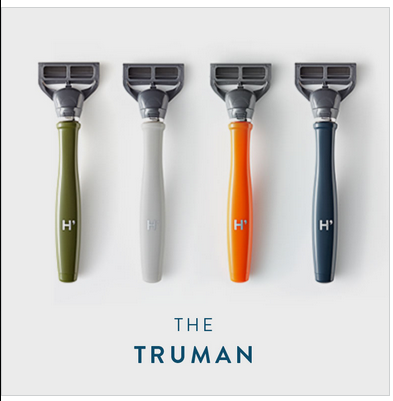 They don’t push your big name brands but rather their hand made, beautiful razors. The second company on my list of lifestyle hacking and one I am very excited to start using is Trunk Club. I am not a huge fan of shopping and the amount of time it takes to find a couple items of clothing. I completely outsource this process by having my own stylist. I select the brands I like and the styles of which I dress. My stylist, Shannon, takes care of the rest. I simple click “Request Trunk” within my iPhone app and she creates a custom “Trunk” of clothing. Within a week or so I receive my trunk. I only pay for what I keep and I don’t ever pay for shipping. I get to take time to try everything on and make sure it fits. No more hours wasted at the mall. The last service on my list and one that is truly amazing is ManPacks. This service lets you automate everything as a guy. From boxers to condoms. This company is amazing and their products are of the highest quality. They are consistently adding more items to their site.